Government looking to label the fermented drink as an alcoholic beverage. If the federal government has it way, drinkers of Kombucha tea will have to go to the liquor store to purchase their beverage, according to an article on cnn.com. Right now, kombucha is not being sold as an alcoholic beverage, but is found in grocery and health stores, marketed as a health drink. Kombucha is a fermented tea that has a vinegary flavor and is produced from a combination of yeast and bacteria that resembles a giant mushroom. Believed to have originated in Asia, the tea has been in use for thousands of years and has been popular with health food fans for several years. Now the drink is becoming more mainstream, and the industry estimates $600 million in sales last year alone. The issue the government has with the drink is some of the bottles tested above the 0.5 percent alcohol-by-volume content that is allowable for a non-alcoholic beverage. A light beer contains about eight times that amount in comparison. Ed Rothbauer, who owns High Country Kombucha located in the Rocky Mountains in Colorado, one of the manufacturers who received a letter from the Alcohol and Tobacco Tax and Trade Bureau concerning the alcohol content of the drink, admits the fermentation process can produce a small amount of alcohol. Even though they sample every batch at the factory before shipping, Rothbauer says the amount of alcohol can increase after bottling, even if the beverage remains refrigerated. But, he adds, you would have to drink eight bottles of the kombucha to get the same alcohol amount as one beer, so it isn’t likely anyone can get intoxicated from the tea. 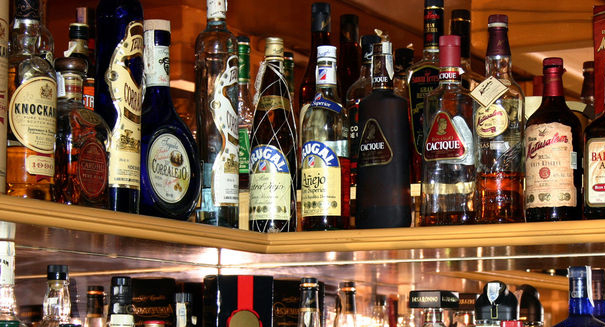 Nevertheless, the government says they must find a way to maintain the alcohol level below the 0.5 percent level consistently, or change the labeling on the product to an identify it as an alcoholic beverage. Doing so would, in most states, lead to higher taxes being paid on the beverage and removal from grocery store shelves, forcing people to go to liquor stores to buy the product. Rothbauer says that will kill the industry as people looking for healthy drinks won’t be going to liquor stores to look for one. Critics say health benefits from kombucha can be found in other products, such as yogurts and green tea, and the alcohol in kombucha outweighs the benefits from the beverage.